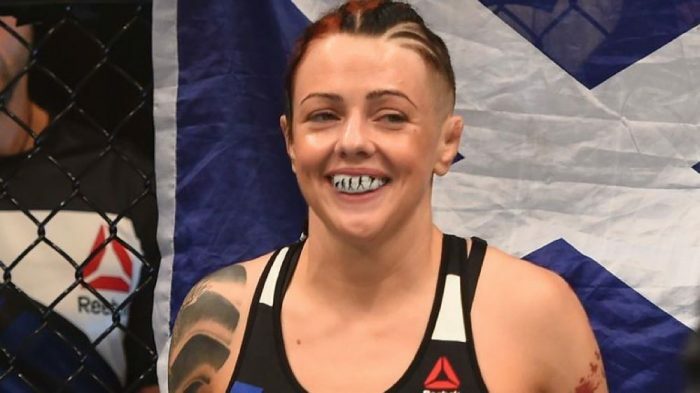 A women's flyweight fight has been added to UFC 233 in January with Joanne Calderwood expected to face former KSW champion 'The Violence Queen' Ariane Lipski. A women’s flyweight fight has been added to UFC 233 in January with Joanne Calderwood expected to face former KSW champion ‘The Violence Queen’ Ariane Lipski. Sources close to the contest confirmed the news on Thursday following an initial report from ESPN. Lipski joined the UFC earlier this year and was originally expected to fight on next weekend’s card in Argentina but an injury cost her an opponent and no replacement was secured. Now Lipski will debut at UFC 233 in January while riding a nine-fight win streak including seven of those victories coming by way of knockout or submission including a win over Octagon veteran Shiela Gaff. As for Calderwood, the former ‘Ultimate Fighter’ contender picked up a win back in August when she submitted Kalindra Faria in the first round of their flyweight fight. Calderwood is 2-0 at 125 pounds in the UFC after she competed in the first ever women’s flyweight fight back in 2016. Calderwood vs. Lipski is the latest addition to the growing UFC 233 lineup that also includes Ben Askren making his Octagon debut against former champion Robbie Lawler.